The Isle of Man Railway (IMR) (Manx: Raad Yiarn Vannin) is a narrow gauge steam-operated railway connecting Douglas with Castletown and Port Erin. The line is 3 ft (914 mm) narrow gauge and 15.3 miles (24.6 km) long. It is the remainder of what was a much larger network (over 46 miles (74 km)) that also served the western town of Peel, the northern town of Ramsey and the small mining village of Foxdale. Now in government ownership, it uses original rolling stock and locomotives and there are few concessions to modernity. 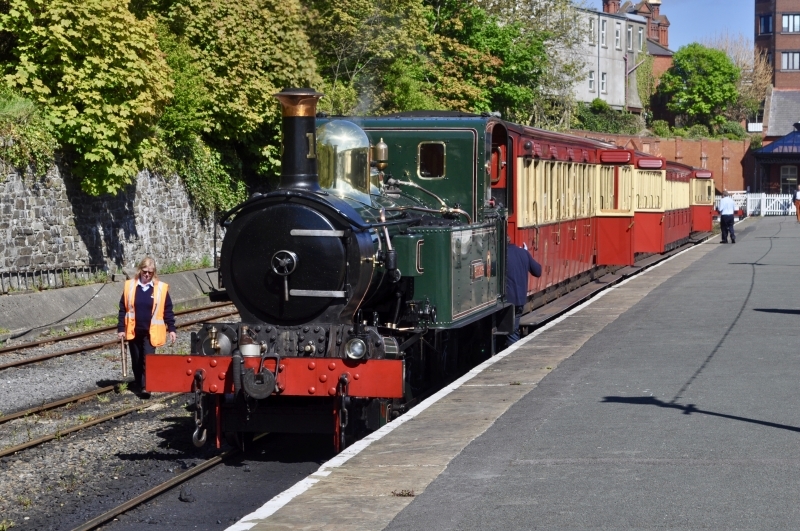 Please give us your overall rating for Isle of Man Steam Railway.